Moser Taboada is a US based law firm that has Intellectual Property (IP) practitioners (attorneys, patent agents and patent engineers) working in three US office locations and an additional office in India. They provide a full spectrum of IP and commercial legal services including patent prosecution, trademark prosecution, counseling, IP due diligence, opinions, IP licensing/transaction, commercial contracts, and business formation services. To maximize their business development budget, Moser Taboada would set up meetings with prospective clients during their business travels. However, trying to identify potential clients within a specific geographic region based on their patent intelligence was time consuming and inefficient. Often, Moser Taboada targeted clients for meetings without the benefit of access to a prospective clients’ level of patent filings or where they filed them. These meetings, more often than not, delivered minimal business outcomes for Moser Taboada. Filing Analytics organizes worldwide IP data and transforms it into an intelligent and objective insight of the patent market covering all major jurisdictions. The Map Explore feature provides a geographic view of the top applicants including the number of PCT applications in any selected map area worldwide. Law firms can view the top applicants, their representing law firms, and the number of PCT applications in any selected map area worldwide. 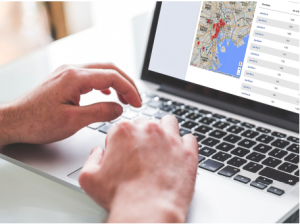 With Filing Analytics Map Explore feature, Moser Taboada can easily identify top companies within the geographic regions that they plan to travel to and view their filing statistics. Additionally, Moser Taboada can view filings by company or country, whether they use PCT or Paris Convention for their global filings, and their technology area breakdown. Moser Taboada now have the business intelligence they need to set up meetings with potential clients that are a relevant fit to their law firm and can deliver them revenue growth. Not only has Filing Analytics saved Moser Taboada a huge amount of time in trying to locate potential clients, but it has also increased their reciprocity growth. This growth in reciprocity has significantly increased Moser Taboada business revenue and profit. In addition, they now spend less time searching for potential clients and more time focusing on the potential clients that can provide them with the largest return for their marketing efforts.